“Athena Shifted Under My Gaze And Cleared Her Throat. "She's Brave, Your Wife." I Didn't So Much As Blink. "She's Stronger Than She Looks." Athena Nodded. "With Poseidon On Our Side, We Have A Shot. 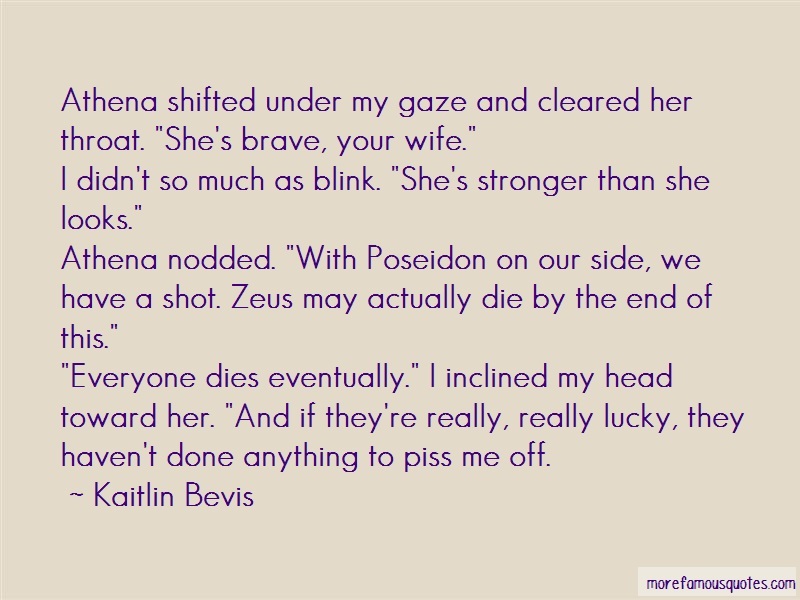 Zeus May Actually Die By The End Of This."